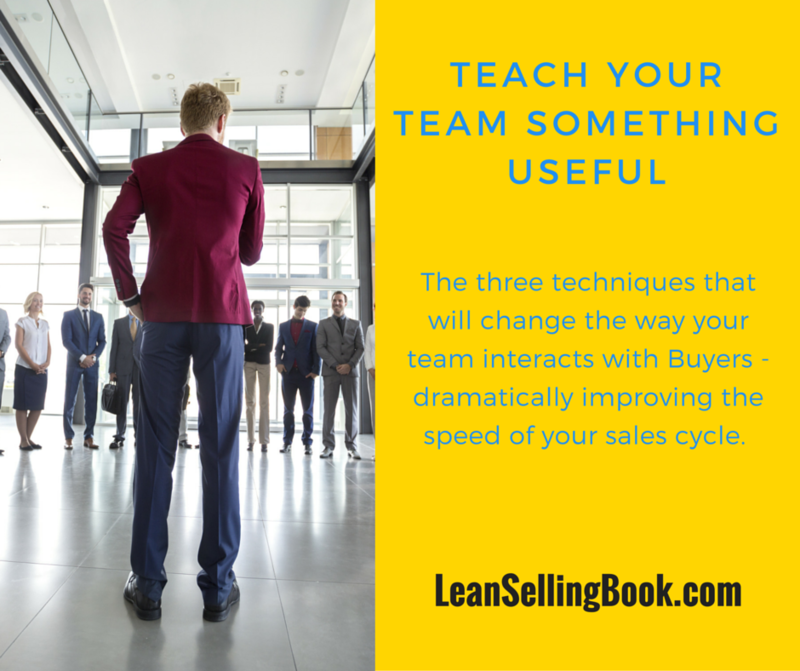 The most effective way to speed up a sales process (aside from adhering to one in the first place) is to get the Buyer and Seller to synch up. I mean getting your Buyer and the Seller from your team on the same page. The Seller needs to know exactly what the Buyer needs, and the Buyer needs to be able to trust that the Seller is actually trying to solve his or her problem. Create a Buying Plan. This is documenting the discussions your Seller has with the Buyer about the steps in the buying process. It should also include the goals the Seller and Buyer mutually have for the Buying process. This can be a foundation for good on-going communication. You’ll want the establishment of goals to be done in a thoughtful way, without shortcuts. Create milestones for your own Sellers that coincide with your sales process—things like finalizing product requirements, or signing off on the legal review if needed. Work with the Buyer to add their own Buying process milestones to the goals. When the Buyer commits to work with the Seller on a Buying Plan, your salesperson is a step ahead of the competition—right out of the gate. The Buyer has already agreed on the steps needed to make a purchase decision, as well as the anticipated dates and resources required. What more could a salesperson ask for? One of the biggest areas for potential misunderstandings between your salesperson and their Buyer is the specific requirements for a product or service. Teaching your team how to clarify what their Buyers want, as well as keep them on track with the Buying plan, will help prevent scope creep or a shift from what the Buyer originally requested. While many Buyers know in general what they want, few Buyers know precisely what they need. In the process of working with a Buyer through a lengthy sales cycle, a major risk is that the original solution becomes obsolete as the Buyer finds more things that they want to change or add to their solution. 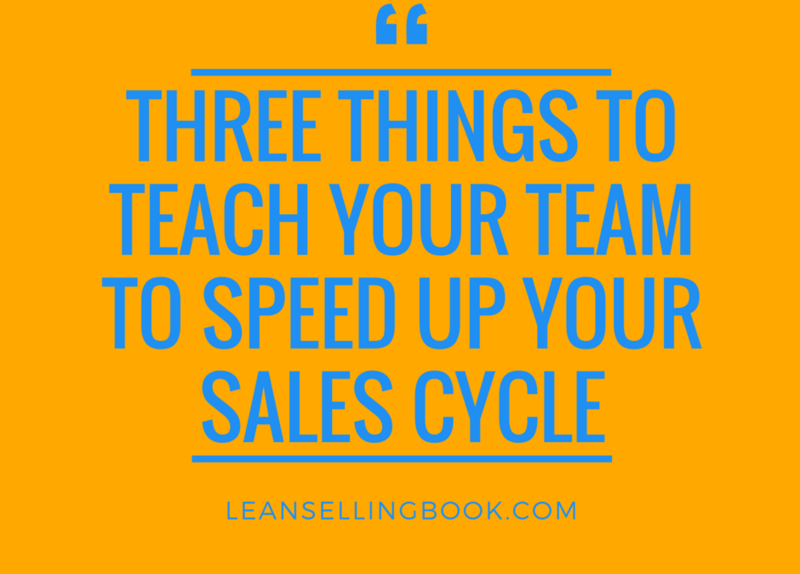 The Lean Selling approach is to dramatically shorten the sales cycle to avoid this. The establishment of goals early on combined with an agreed-upon Buying Plan reduces the sales cycle. Imagine if you could shorten your nine-month sales cycle to only six weeks—the risk of your original solution becoming obsolete would be dramatically reduced. 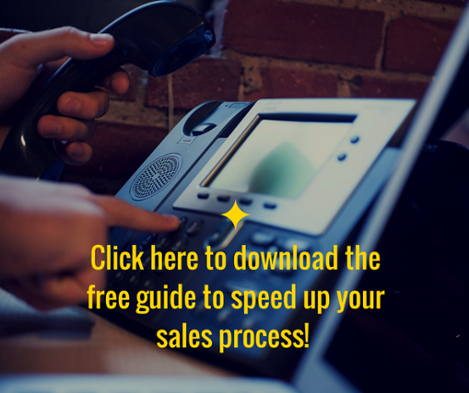 One of the most difficult things to teach your sales team is how to ask for commitment. Even more difficult is to have your team ask their Buyers what expectations they have for the relationship. Still harder is for salespeople to tell the Buyer what they expect from them! Establishing expectations and asking for commitment puts your salespeople on a peer-to-peer level with their Buyers. It helps solidify salespeople’s roles as value-providers, as well as setting them up as coaches on the Buyer’s Journey. It’s also important for your Sellers to keep their Buyers on track, not letting them push back the agreed upon dates unnecessarily or simply allowing things to slide. If the Buyers can move out decision dates for things such as signed approvals or legal prep work, they’re going to push back the decision date to buy, too. These three techniques can make a very big difference in how easily your sales team can close more deal. It will also make a significant improvement in how quickly your team can move deals through the pipeline.